So far, the only way has been up for Monte Pittman. When he moved to LA, with just his guitar strapped to his back, he was hired to play for Madonna. When he strummed along while on tour with the Queen of Pop, he was snapped up to teach her to play. He’s worn silver suits on the Confessions tour, co-written songs with Madge herself, experienced the madness of the American Superbowl and played with Adam Lambert. Speaking backstage, just hours before opening night of Madonna’s MDNA global tour, Pittman, who has played and toured with the superstar since 2001, said the atmosphere was incredible. Pittman is known for his work with Madonna, Adam Lambert and Prong, as well as as a solo artist boasting two albums The Deepest Dark and Pain, Love & Destiny. He also made headlines when he raised $65,500 on Kickstarter for his second album, exceeding his goal of $5,000 and making him the top rock musician to ever raise such an amount on the crowd-funding platform. Q. What went through your mind when Madonna asked you to teach her to play the guitar? Was she a quick learner? A. She was very dedicated. She still is. She’s always improving. People are going to witness that on this tour. I was very excited to play for her. It was right when the “Music” album was coming out and both [producers] Mirwais and William Orbit had added some really cool, fresh ideas with their guitar patterns to play. Q. What was the first song she ever played for you? A. When I teach, I don’t teach any songs. She started with scales and chords. I teach all of the basic chords together in one key. If you know that then you are already familiar with whatever the chords are going to be in a song. Q. What’s the funniest thing you’ve ever heard come out of Madonna’s mouth? A. She’s quite a comedian. There was a time on the Confessions promo tour where wardrobe put me in a silver suit. I didn’t hear the end of that for a while. Q. How did it all begin in the music business for you? A. I got my first guitar when I was 13. I started my first band with some friends and played my first gig when I was 14. I’ve always wanted to play music. When I was a little kid, my sister was always playing her Kiss records and I was amazed by them. My cousin played drums in a band also. Pantera were the local “hometown heroes” that I would always hear about them playing in Shreveport and Dallas before they became big. So I was always around music somewhere that was just out of reach. Q. Do you ever still pinch yourself when you look at where music has taken you? A. Yeah it’s something I don’t really notice at the time but something to look back on. I’m always looking forward at how I can improve. It hasn’t turned out how I hoped it would but I couldn’t be more thankful with how everything has unveiled itself. Q. You’ve been with Madonna for a long time now. Does it ever get tedious to work for the same artist all these years? A. No. I love playing for her. It’s a lot of work but the results are worth it. She’s very demanding but I’m just as demanding on myself. Q. 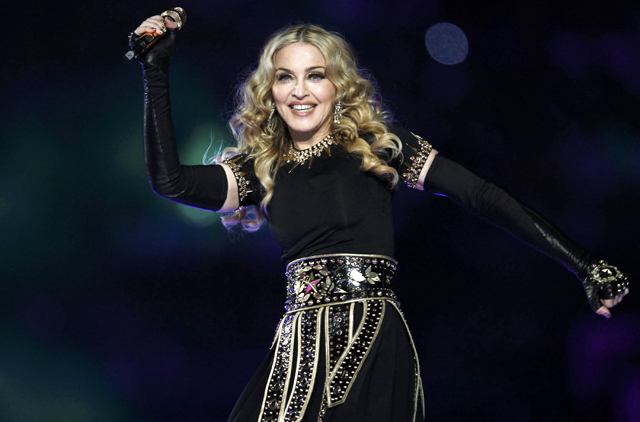 Do you prefer to be known as Madonna’s guitarist or an American rock artist? A. American rock artist, I guess. I’ve played with other people besides Madonna but it doesn’t get any better than working with her. Playing on my own is something I can and always will do. It’s taken a long time getting my own solo project off the ground but it’s another situation where I’m glad things have happened the way they happened. Q. How do you disconnect from a tour with Madonna to working on your own stuff? Do the two ever influence each other? A. I have to force myself to continue on with my stuff sometimes. Other times it’s all I can think of. I’ve always got one foot in one world and one foot in the other. Somehow it all naturally balances itself out. Before everything for this tour started up, I put out my second album “Pain, Love, & Destiny”. When I left LA to start rehearsals for this tour, I won Best Solo Artist at the Artist In Music Awards after being the only artist nominated in four categories. I have to somehow keep up with the pace of that. Q. How would you describe the Superbowl? What was the best backstage moment? A. Everyone was just really focused. It all went by so fast. I try not to think about things like all of the people watching until after it’s over. Q. How is writing with Madonna – is it hard to challenge someone the world worships? Each time we’ve written something it’s been a different situation. Most of the stuff we’ve written, no one has ever heard. It just depends on what’s needed for a song. Q. You are also guitarist and music director for Adam Lambert – that’s quite a title too. Where do you find the time? A. Adam and I played together before he went on American Idol. He was the singer for my band Afterwards he asked me to play guitar in his solo [work]. We had some great times together. He has such a phenomenal voice. Things are going great for him right now and that puts a huge smile on my face.